Assembly Members, representatives from Cardiff, Swansea, Bangor and Aberystwyth universities and representatives from the suppliers Dell EMC and Atos celebrated the official launch of Supercomputing Wales at the Senedd in Cardiff Bay on Thursday 11 October. Research Software Engineers (RSEs) will work with researchers from across the consortium to develop algorithms and customised software that harnesses the power of the supercomputing facilities, to perform multiple computational tasks simultaneously at very high speeds. 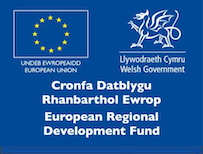 The £15m programme has been funded with £9m through the European Regional Development Fund (ERDF) through the Welsh Government, which has been matched by a multi-million-pound investment from the university partners.